While perusing the thrift shops of Kitchener, my goal was to only bring back jewellery as my luggage could not support extra clothes or other unwieldy objects. Nope, nice, small, pieces of jewellery was all I was after. Then my sister offered to give me a ride back to Toronto. 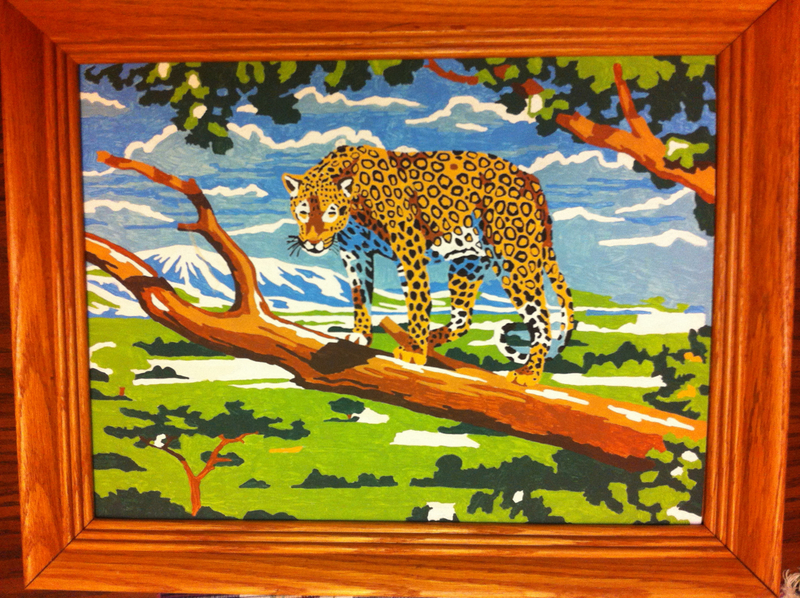 And then I spotted this large, super kitschy Cheetah or leopard paint-by-number at the Bibles for Missions Thrift shop. Even though I was on foot and scheduled to visit my Aunt Mimi, I hauled it home. A couple of days later, I came across a charming little landscape at the Value Village. Again, I carried it back to my mom’s. We were having visitors so I didnt;t have time to research it right away, but we all joked about it being some kind of Antiques Roadshow discovery. And guess what? It turned out to be by a listed artist and worth a little bit of dough. It’s signed H.W. (Herbert William) Wagner. Wagner (1890-1948) was born in Galt, grew up in Toronto and studied under André Lapine. 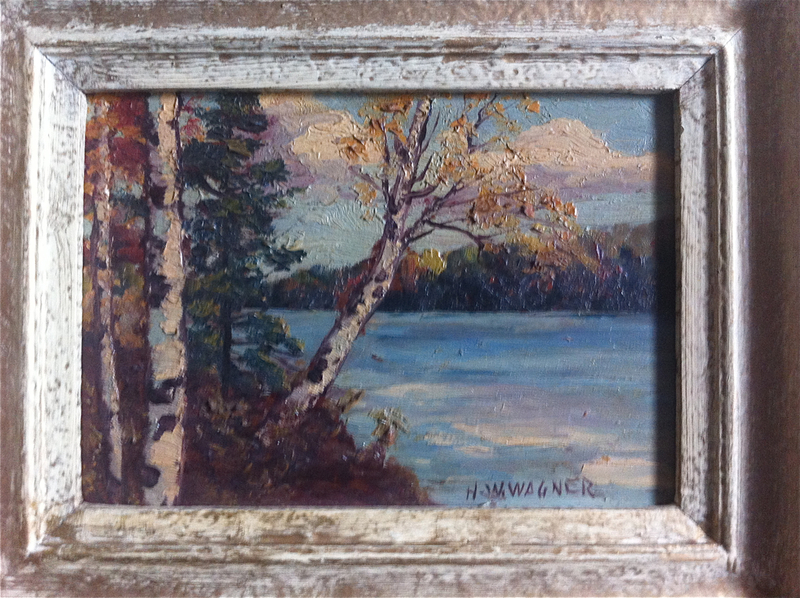 He was a plein air artist and would travel to Algonquin Park and the Haliburtons with Tom Thomson. Another fun fact: He supplemented his painting income by performing magic! He was a prolific artist, and this fact, combined with the small size of this painting, means that it’s not super valuable, but a search for auction results would suggest that if I sold it, I would see a very nice return on my $4 investment. The Cheetah, not so much.